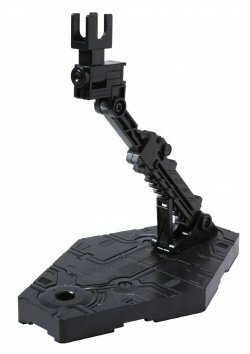 Not quite as adjustable as the action base 01, but the smaller size takes up significantly less display real-estate while remaining perfect for you 1/144 models. the action base 2 is amazing for any kit that isnt bigger than a 1/144 kit. the black color is great for weathering and works great for making dioramas.